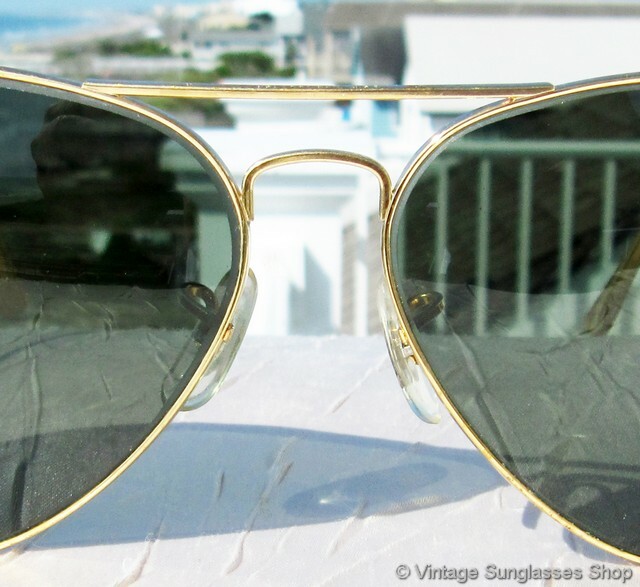 1 Vintage Ray-Ban 62mm gold aviator sunglasses with traditional paddle ear stems are an iconic classic in vintage sunglass design and have stood the test of time. 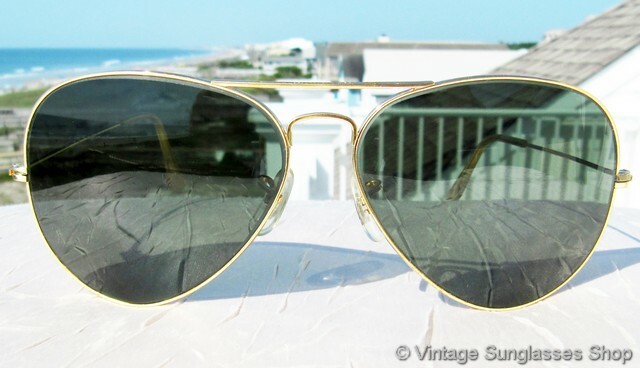 Bausch & Lomb created aviator sunglasses and anti-glare G-15 lenses like these in response to a need in the US military for high optical quality sunglasses that could protect pilots and others in the armed forces from the dangerous effects of glare. Subsequently marketed to the general public in the early 1950s, both 58mm and 62mm aviators became wildly popular. 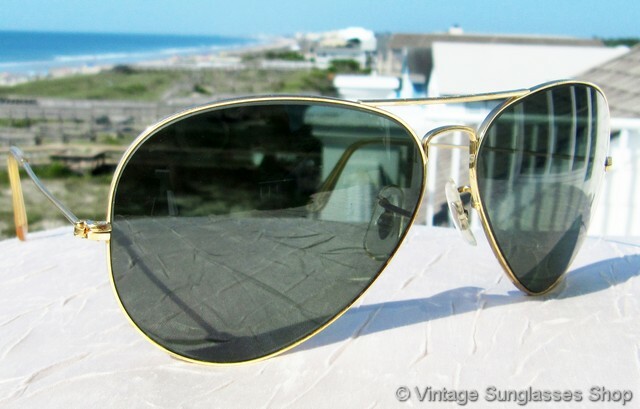 These B&L Ray-Ban 62mm aviator sunglasses were manufactured early in their production c 1960s - mid 1970s, with frame measuring approximately 5.5" temple to temple and 62mm lenses measuring approximately 2.5" x 2.0" at the widest points and pre-dating the laser etching of the Ray-Ban logo in italics on the lenses. 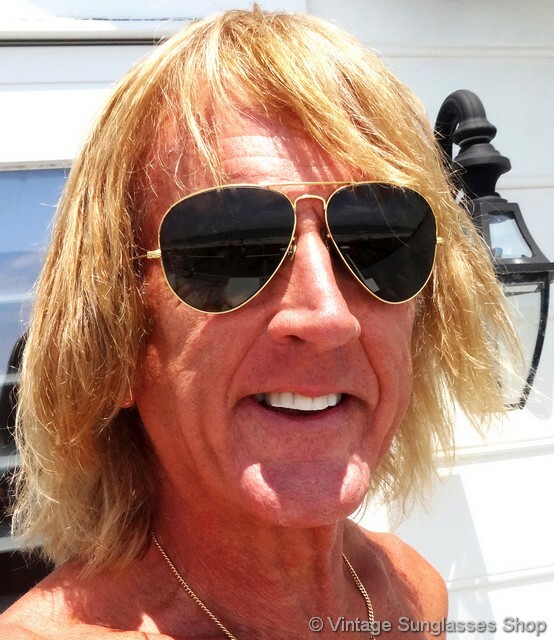 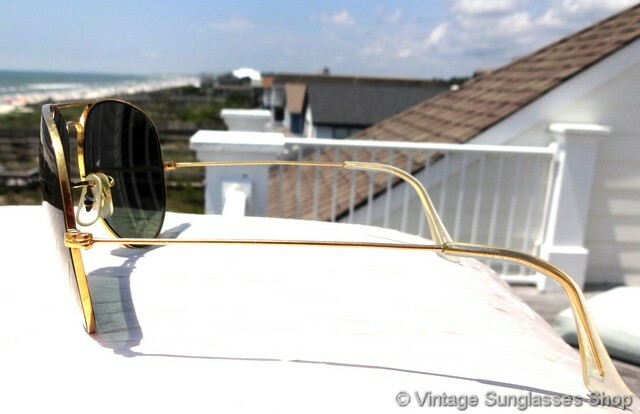 The top of the nose bridge is impressed B&L Ray-Ban USA while the bottom of the nose bridge is impressed B&L 62  14 USA. 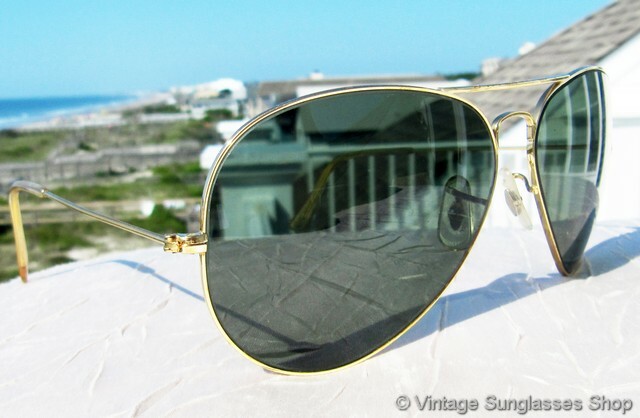 1A Step up to a Ray-Ban Type II Deep Groove B&L Ray-Ban 62mm aviator, identical in size and appearance except here the ear stems and frame are Deep Groove which gives you a significantly more sturdy and durable frame. 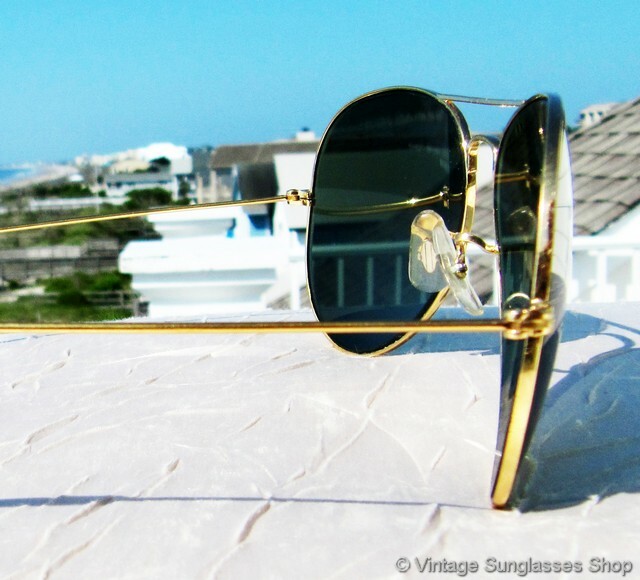 In contrast to the traditional 62mm aviator wherein the ear stems are essentially gold plated wire, the stems of these Deep Groove aviators are significantly thicker and stronger as you would find in a Bravura or General anniversary frame. 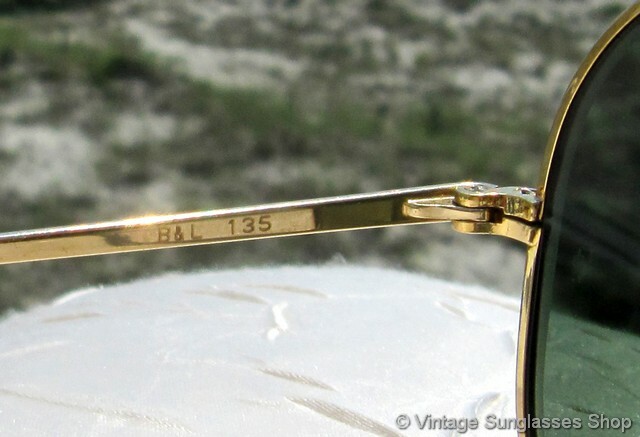 Both ear stems are lightly etched Ray-Ban on the exterior and B&L 135 on the interior. 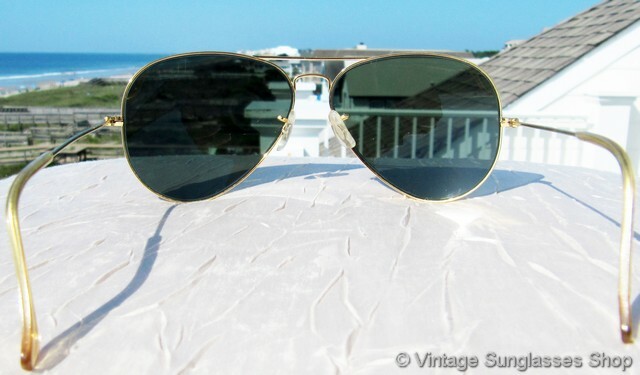 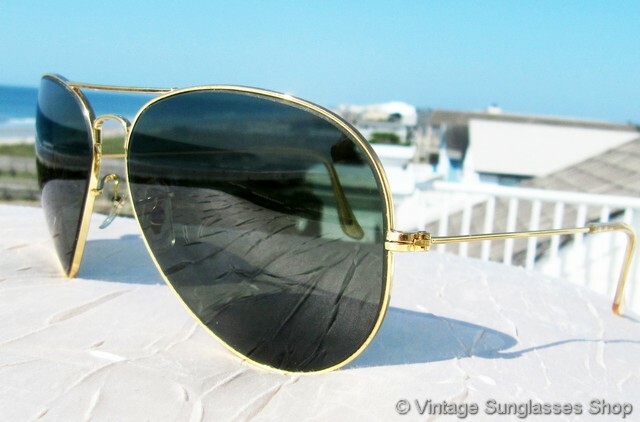 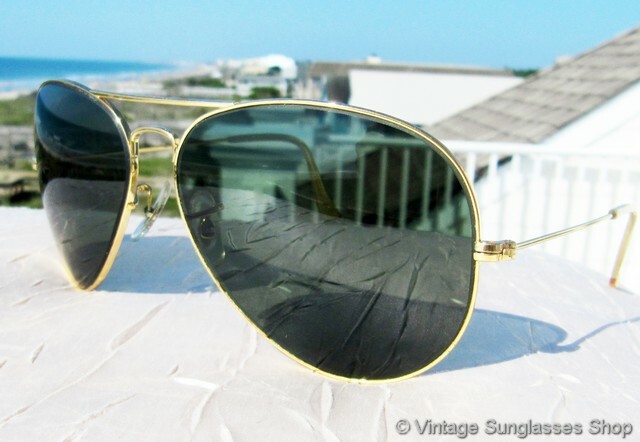 2 Step up another level beyond our already unequaled vintage condition standards with new old stock Ray-Ban gold 62mm aviator sunglasses in mint, unworn condition. 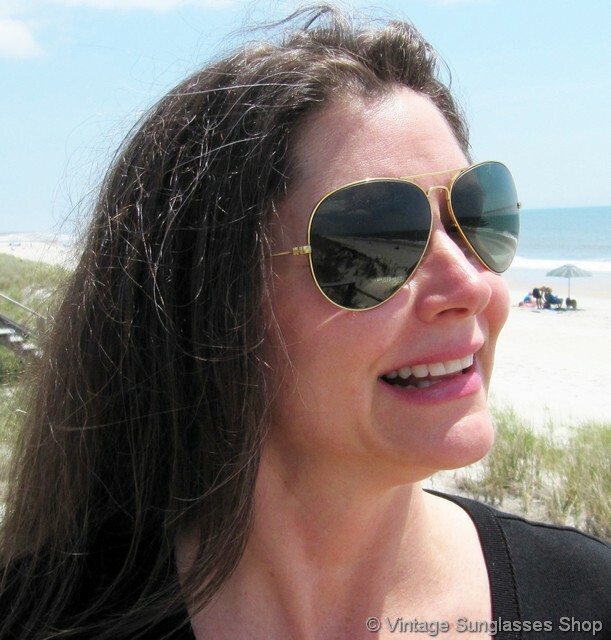 3 SPECIAL DISCOUNT OPPORTUNITY! 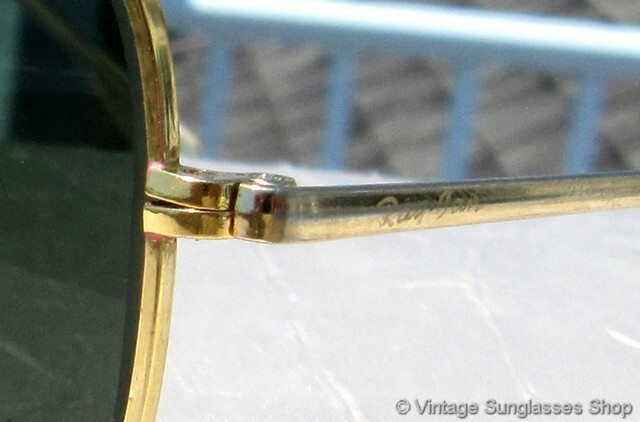 Sometimes when a great frame comes in as part of a lot but has condition issues that make them fall short of our unparalleled vintage condition standards, we'll use it as an opportunity to offer our customers a rare vintage frame at a bargain price. 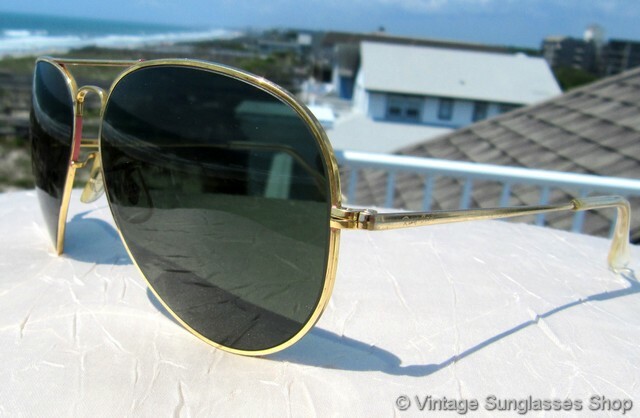 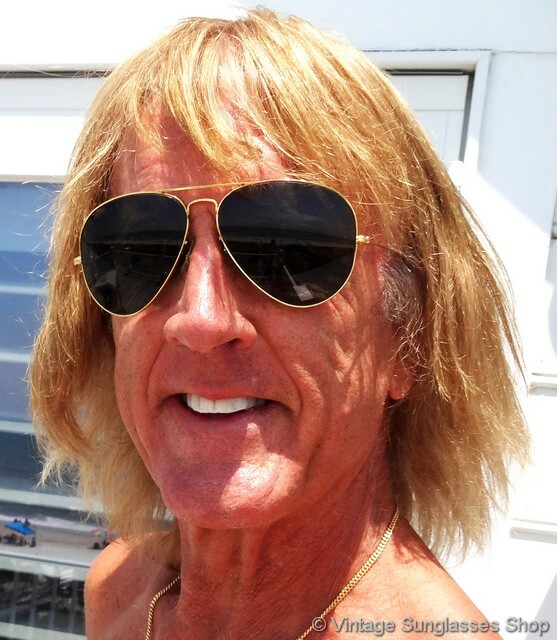 That's the case with this classic B&L Ray-Ban 62mm aviator frame fully and properly marked. 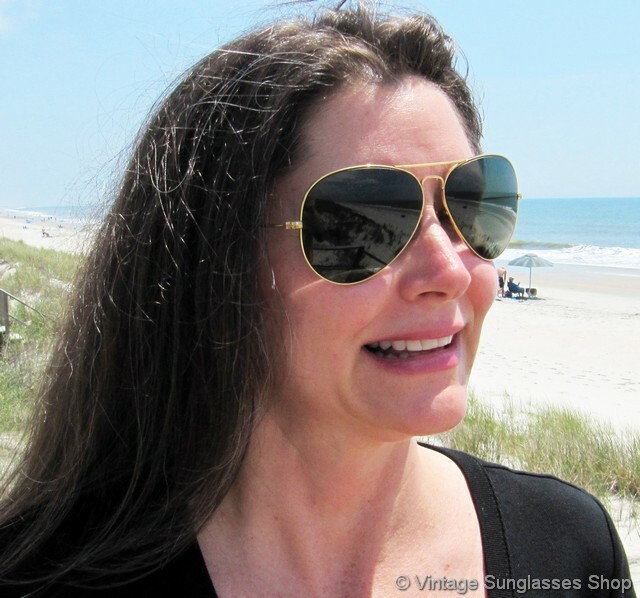 It's an iconic frame strong enough and ready for the glass or polycarbonate RX prescription or non-RX lenses of your choice from your local optical shop.